Geocaching is a high-tech treasure hunting game that involves searching for hidden geocaches, which are often old ammo boxes, waterproof plastic containers, or small camouflaged containers. There are hundreds of geocaches along and near the Schuylkill River Trail and in interesting locations throughout the Schuylkill River Heritage Area. 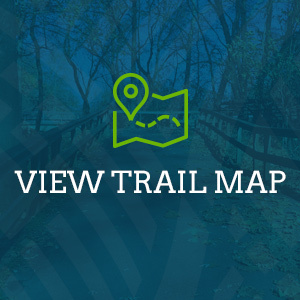 In this section, you’ll find information on geocaches that have been placed along the trail and river, how to get started geocaching, and links to “bookmarked” lists of geocaches. 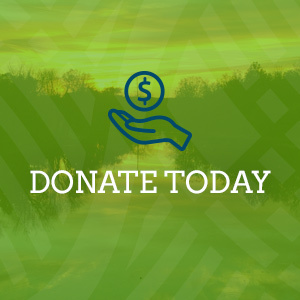 So, spend a day of walking, biking, or paddling to find geocaches, see some beautiful sites, enjoy a picnic lunch or stop into one of the restaurants located near the trail or river. There are over 75 geocaches along the Schuylkill River Trail between Fairmount Park and Conshohocken and another 50 or so between Conshohocken and Valley Forge National Historic Park (VFNHP). Over 85 of these were placed by a group of geocachers calling themselves the “Schuylkill River Trail Association” although they have no formal affiliation with the Trail or the Schuylkill River Heritage Area. There are geocaches throughout the entire length of the trail, but this series provides the most geocaches in a short distance. There are a few caches along the trail between Pottstown and Reading, which you can find by searching the geocaching website. The trail continues north along the river from Pottstown to Reading, and there is also a 6.5 mile piece of trail, known as the Bartram Section, from Hamburg to Auburn. Since, the caches in these areas have not yet been organized into bookmarks, you can find them by searching the geocaching website using nearby street addresses or zip codes. Geocaching has been organized and is managed by Groundspeak. To view geocache locations and details, you must first sign up for a free membership at www.geocaching.com. 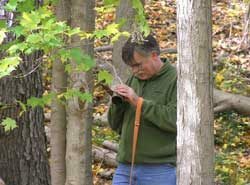 The Getting Started section of that website will introduce you some basic information about geocaching. You’ll also need a GPS unit or APP on your phone. Once you’re signed on at www.geocaching.com, check out the “Getting Started” section for a basic introduction. You can search for geocaches in a specific location by clicking on the “Hide and Seek a Cache” link and then entering an address, zip code, or other information. The website will provide you with GPS coordinates (latitude and longitude) which you can enter into your GPS or upload using a USB cable. Geocaches are often located near one another, so you can load a group of geocaches into your GPS. After finding a geocache, sign the “log” kept in each cache and then log your find on the geocaching website. Common sense dictates that geocachers wear appropriate clothing, especially good shoes when geocaching. During hunting season, wear blaze orange in areas where hunting is permitted. When geocaching on the river, wear approved personal floatation devices and follow all paddle safety guidelines. Always be respectful of private property and environmentally sensitive areas. It is not necessary for geocachers to seek permission in order to hunt for caches. However, if you wish to place a cache on private property, you will need permission from the landowner. All PA state parks and some other publicly owned land require geocachers to obtain permits or permission in order to hide a cache.